Construction of our first residential and commercial property, the Citrus Building, was completed in March 2015. The building replaces the former council-owned Leyton Mount car park with the parking relocated at the new Madeira Road development on the same road. The Citrus Building is so-called because of its bright orange, yellow and green exterior and curvy shape. 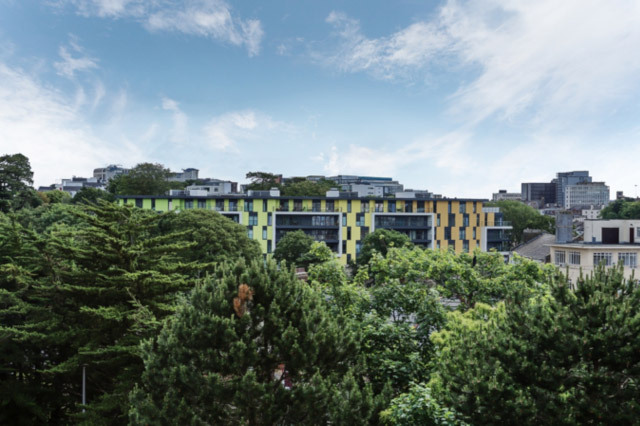 It comprises 64 apartments that range from studios to three bedrooms, all incorporating contemporary design. Features include high-gloss kitchens with silestone work surfaces, SMEG integrated appliances, well appointed bathrooms and ensuites, and fitted floor coverings as standard. Demand for the apartments was exceptional with all apartments sold by July 2015. We encourage those who may be interested in future residential developments by BDC to register their interest now via the contact us page. 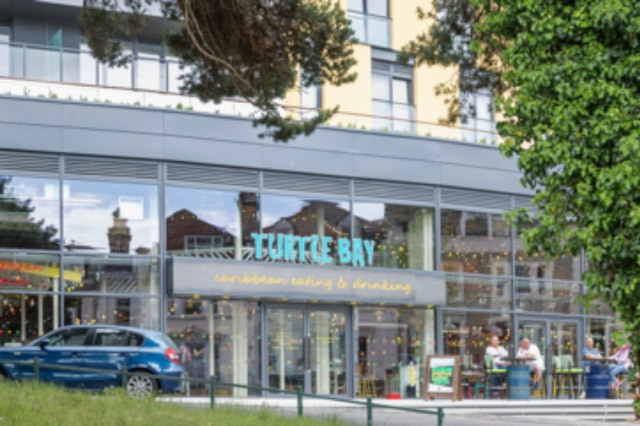 The development also includes a 290 sq m (3,120 sq ft) A3 commercial unit which has been leased to Turtle Bay, a Caribbean restaurant, who opened their doors on 19th June 2015. Overall, the Citrus Building has played an important role in helping to bring new vitality and business into the Horseshoe Common area. 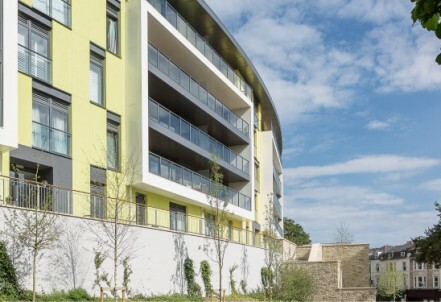 Along with other residential projects in the pipeline, the development accelerates the delivery of much needed new homes, meaning more people can live in the town centre in high-quality accommodation.